Sometimes I will ask classical music lovers who is their favorite composer and almost always the names of Mozart, Beethoven, and Bach will come up. In fact, that is the names I will first mention when asked who is my favorite. But I was thinking, especially when I hear some ultra beautiful music composed by this Russian Romantic composer, he should be right up there near the top of the greatests' list. This composer born in Votkinsk, Russia in 1840, was a prolific composer of all genres of classical music including 7 symphonies, 11 operas, ballets, choral works, piano solo works, chamber music, and what some consider the best [certainly near the top] violin concerto and piano concerto in the concerti repertoire. 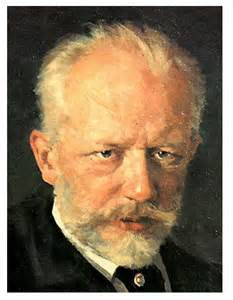 The composer, Pyotr Ilyich Tchaikovsky. His compositions contain some of the most beautiful, melodic music ever composed. Besides all of this great music, Tchaikovsky's music is an American staple in two of the most important holidays in America, Independence Day and Christmas [season]. Every July 4th in America, Independence Day, the stirring "1812 Overture" by Tchaikovsky is played in almost every city in America before the evening ends. And there hasn't been a Christmas season in my lifetime that has gone by with the popular ballet, "The Nutcracker" containing Tchaikovsky's glorious musical score, performed at concert Halls all throughout America. Please turn up the volume and enjoy some beautiful music by this Russian composer whose music is heard by Americans every year. Thanks to a Russian,my patriotic heart beats faster every July 4th!